Another brief I'm working on, works in tandem with No. 7 Antiques' brief. 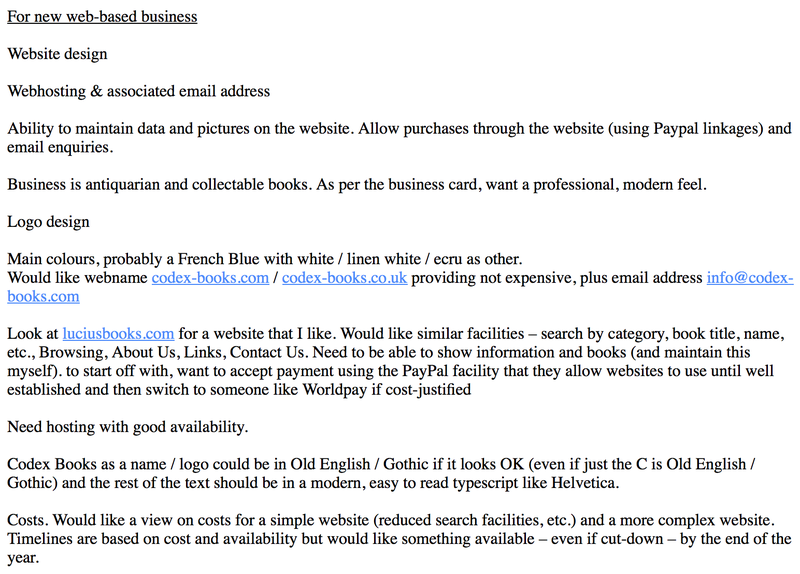 Owned by the same person, for their second business, they want to launch a website. Specialising an Antique and Collectable books currently marketing over eBay, adding a website will take their business to the next level, and boost sales, providing it's designed properly. Through some e-mails, I sent his a questionnaire to find out exactly what we need as part of this brief. The above is the e-mail I received back, which explains exactly what is needed. My plan is to host through wordpress, and using plugins and existing themes, use my coding to alter the appearance of the website. Whilst using wordpress as an easy content management system. 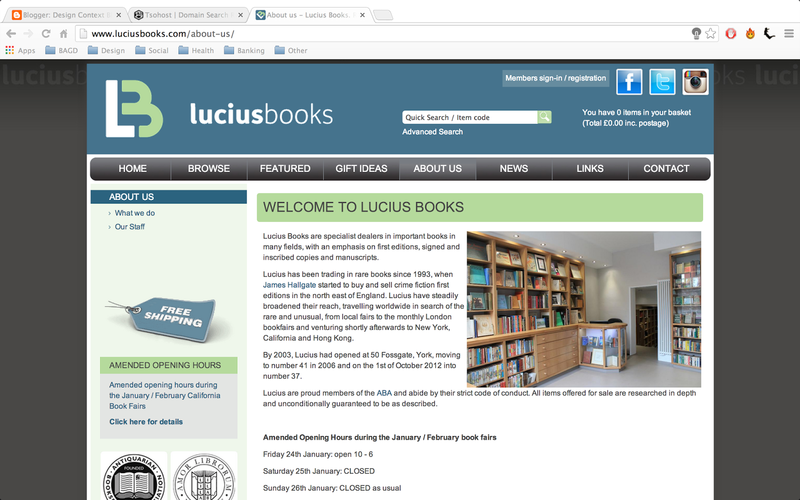 He asked me to look at the website Lucius Books, it contains all the content Codex Books requires, and the owned of Codex Books also quite likes the design. However, I feel the design looks very dated. 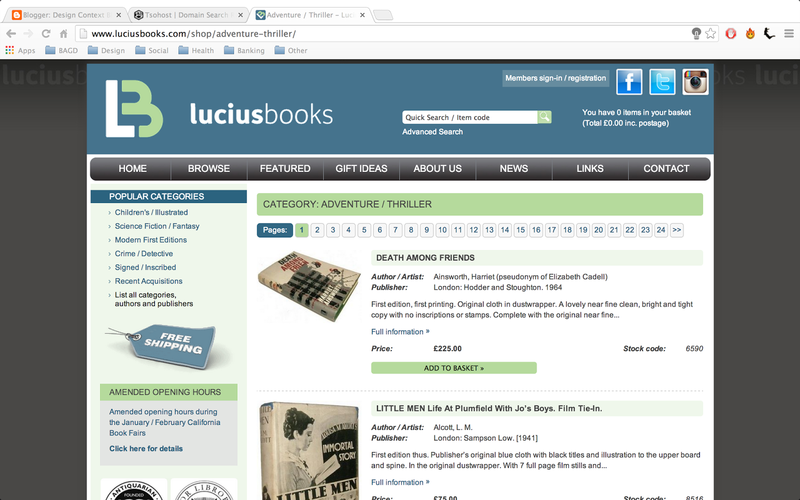 Feature products are displayed on the front page, along with links to some important product categories. 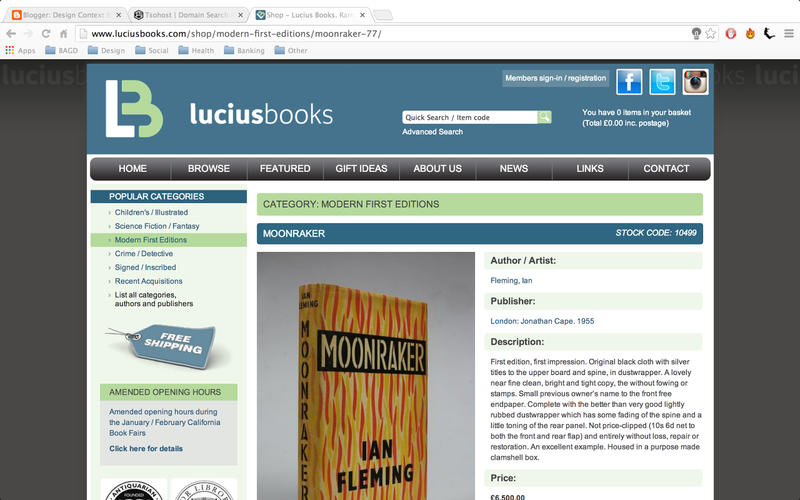 As example of one of the product pages. Along with a glamour shot of the book. To the right, there is a large around devoted to information about the product, it's price and all the necessary descriptions. The products are listed horizontally in a vertical list, with a small sample of the information, the price and the book code. 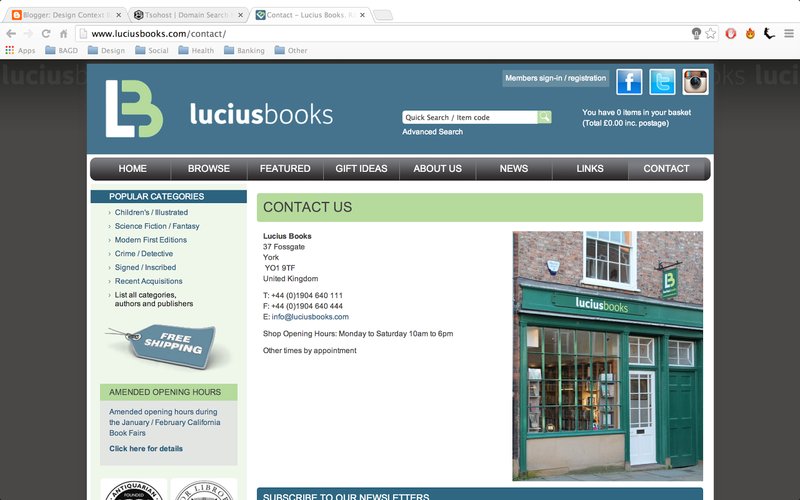 There's an about page, which lists opening time and any other required information which might be useful to the customer. There is also a contact page, which shows all the contact information and other information needed. The pages featured are all fair essential, no nonsense, which I assume is the same feel the client wants. Although, I'm sure that the design can certainly be improved, reinvented. 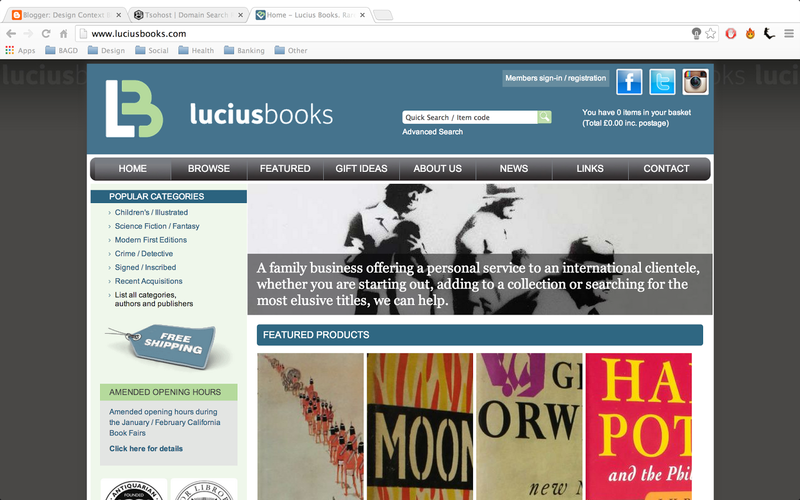 Bringing a modern contemporary feel to the book dealership.